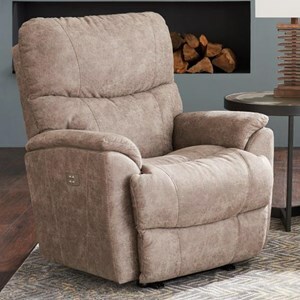 Your house is already the neighborhood's most popular hangout spot, but you can take it to the next level with recliners for your whole crew. 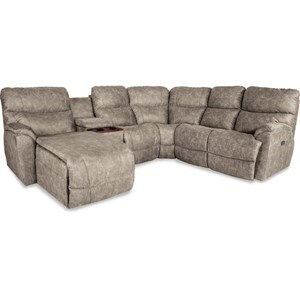 This reclining sectional offers four seats, two of which recline. Additional configurations available to customize the number of seats. You can trick out your home theater with the latest gear thanks to our premium power options. 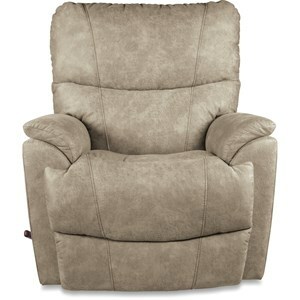 Add infinite position power recline and power tilt headrests for personalized comfort. All of our power versions include built-in USB charging ports, so its easy to stay connected at all times. 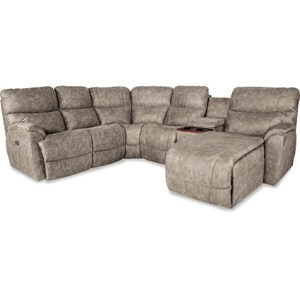 The Trouper Three Piece Power Reclining Corner Sectional Sofa with USB Ports by La-Z-Boy at Morris Home in the Dayton, Cincinnati, Columbus, Ohio, Northern Kentucky area. Product availability may vary. Contact us for the most current availability on this product. 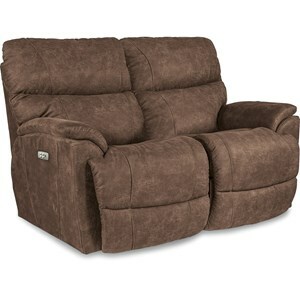 04C724 Corner Unit 1 62" 37" 42"
4DP724 Power La-Z-Time® Left-Arm Sitting Reclining Loveseat 1 56" 41" 42"
4EP724 Power La-Z-Time® Right-Arm Sitting Reclining Loveseat 1 56" 41" 42"
Padding & Ergonomics 1.8 density foam cushions come standard. 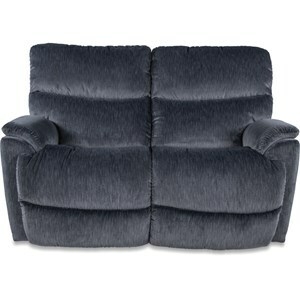 For an upcharge, add Airform responsive memory cushioning to your legrest and seat. Airform envelops you and helps relieve pressure on your pressure points. What makes this group so incredible? 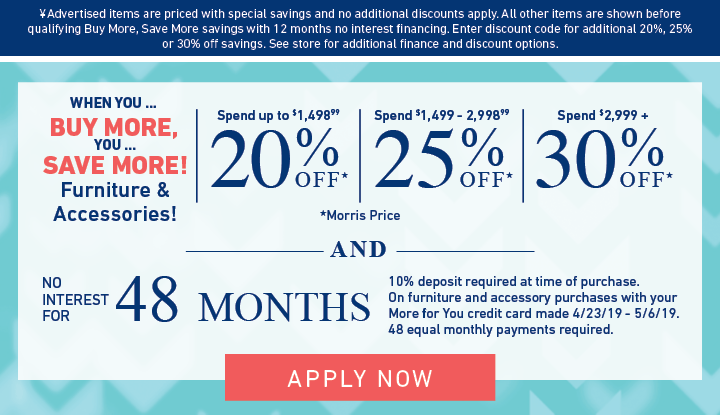 Trouper is a twofer — comfort and convenience! 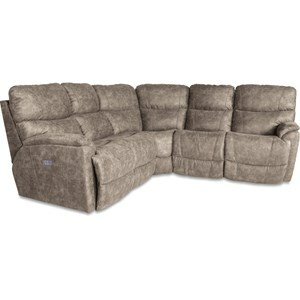 We offer a wealth of custom comfort and technology options to meet your needs. If it can make your life easier, we've thought of it. Need a left-hand handle for your recliner? Check. 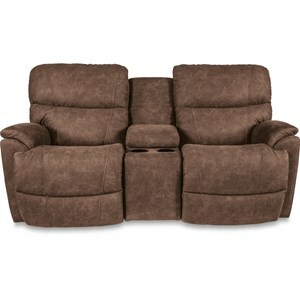 Need power headrests and USB charging ports for your home theater? We've got 'em. 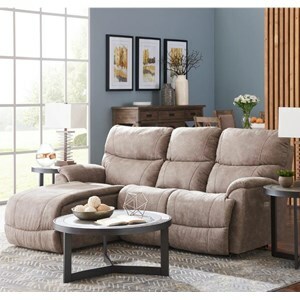 Want to build a reclining sectional sofa that everyone can enjoy? No problem. 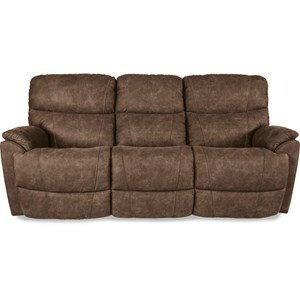 From the living room to the man cave, we have a seat for everybody. 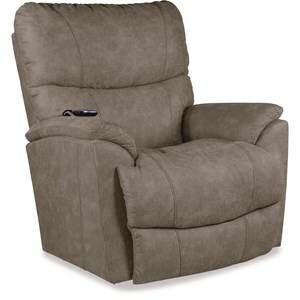 Trouper's the one-size-fits-all solution for reclining furniture. 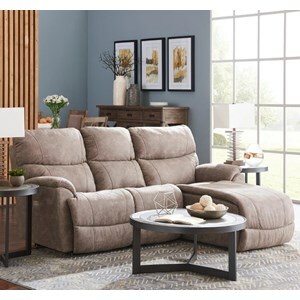 The Trouper collection is a great option if you are looking for Casual furniture in the Dayton, Cincinnati, Columbus, Ohio, Northern Kentucky area. 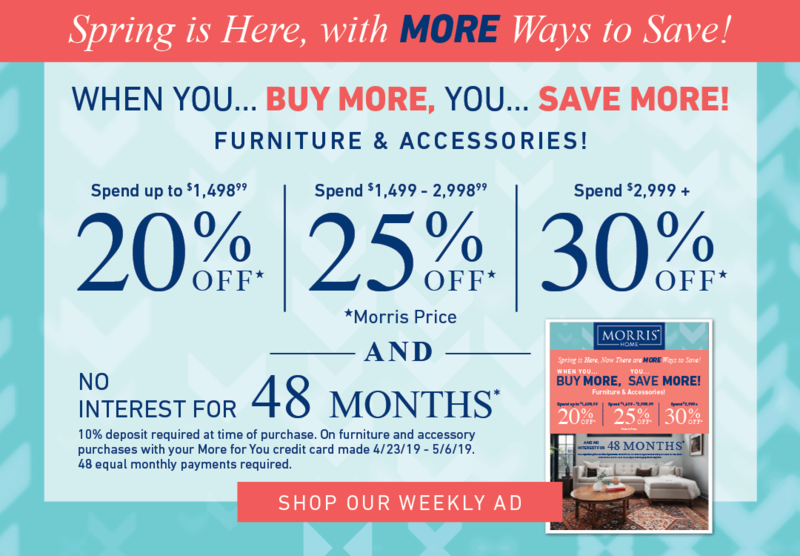 Browse other items in the Trouper collection from Morris Home in the Dayton, Cincinnati, Columbus, Ohio, Northern Kentucky area.